MANILA, Philippines – Brunei committed to help the Philippines improve its halal certification to enable the country to tap the trillion dollar market, said Trade Secretary Ramon Lopez in a media briefing in Brunei on Monday, October 17, following the meeting between President Rodrigo Duterte and Brunei Sultan Hassanal Bolkiah. Lopez said the Brunei-Indonesia-Malaysia-Philippines East ASEAN Growth Area (BIMP-EAGA) initiative will also be revived to maximize trade relations with Brunei and other neighboring countries. Duterte began his ASEAN tour with his state visit in Brunei, the first country he visited since he was elected president. He flies to China next, also for a state visit, to strengthen trade and economic ties. Lopez said the Philippines needs Brunei’s credibility in certifying halal products. The lack of organized halal certification in the Philippines has prevented the country from taking advantage of the lucrative market. “Napakaganda po ng (We had great) discussions with respect to exploring immense opportunities in developing halal products. The estimated halal market in the world is about $2 trillion and we all know the expertise of Brunei with respect to halal certification,” Lopez said during the media briefing. “We have our own certification in our country but as we try to put more emphasis in creating halal certified products, we need the credibility of the certification procedure so that we can really export halal productions,” Lopez added. Lopez said the Philippines will also revive the BIMP-EAGA initiative as the launching pad of improved trade relations with Brunei. 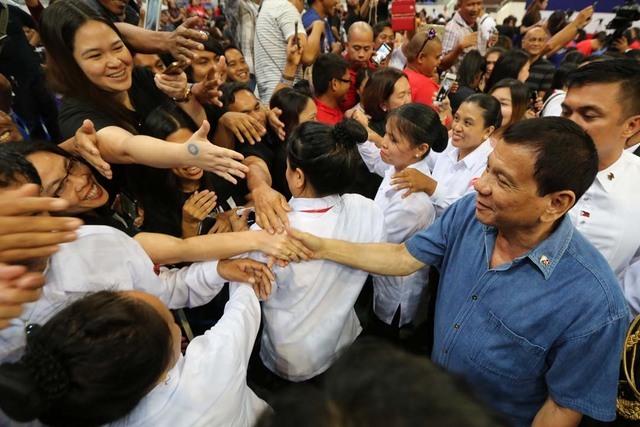 “The President asked them to consider investing in the Philippines as Brunei companies would like to explore opportunities in fast growing economies like the Philippines,” Lopez said.